NEW YORK (ANS, May 19, 2015) – A captivating tale of romance, rebellion and redemption, Amazing Grace follows one man whose incredible journey ignited a historic wave of change. Following an acclaimed, sold-out world premiere in Chicago, the faith-based musical is thrilled to announce the full 31-member company returns for the Broadway engagement. 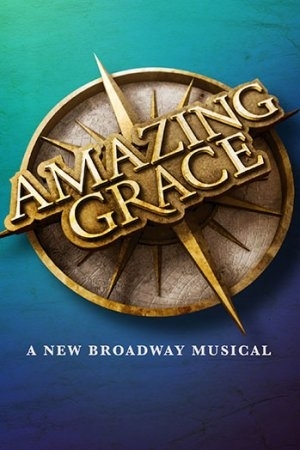 Based on the awe-inspiring true story behind the world’s most beloved song, Amazing Grace will play Broadway’s Nederlander Theatre with performances beginning Thursday, June 25 for a Thursday, July 16 opening night. The new musical features music and lyrics by Christopher Smith and a book by Christopher Smith and Arthur Giron, directed by Gabriel Barre (Andrew Lippa’s The Wild Party) and choreographed by Tony Award winner Christopher Gattelli (Newsies). The production premiered last October in Chicago and was embraced by theatre critics and played to sold-out houses. “A stirring musical. An epic romance. Artfully produced on the lavish scale of Les Mis. Amazing Grace is a soaring piece of work full of well-crafted lyrics and character-driven melodies,” writes Hedy Weiss, Chicago Sun-Times. “Hearing ‘Amazing Grace’ sung by this cast makes for an undeniably stirring theatrical moment; it brought tears to my eyes. Amazing Grace features stirring, romantic music and lyrics by Smith with catchy, accessible melodies and is vividly staged…” says Chris Jones, writing for the The Chicago Tribune. Tom Hewitt as “Captain Newton” joins previously announced stars Tony Award nominee Josh Young, Erin Mackey, Tony Award winner Chuck Cooper, Chris Hoch, Stanley Bahorek, Harriett D. Foy, Laiona Michelle, Rachael Ferrera and Elizabeth Ward Land. Amazing Grace is produced by Carolyn Rossi Copeland and Alexander Rankin. Christopher Smith (Book, Music, Lyrics). Amazing Grace is Chris’ first work of professional writing. He is the concept creator, composer, lyricist, and co-author of the book. Chris is entirely self-taught. The show was born while Chris was working as a police officer and Youth Outreach and Education Director in Montgomery County, PA.
Carolyn Rossi Copeland (Executive Producer). Carolyn Rossi Copeland founded the Award-winning Lambs Theatre in 1978 where she was Producing Director until 1997. She was VP of Creative Affairs Radio City Entertainment/MSG, where she oversaw the Broadway reincarnation of The Scarlet Pimpernel, The Wizard of Oz tour and A Christmas Carol. She returned to reopen The Lambs after 9/11 until it was sold in 2006. She produced the hit Freud’s Last Session that played NYC for 2 years, and Chicago. Amazing Grace has been in development since 2007. Tickets for Amazing Grace are on sale now via Ticketmaster.com or by calling 877-250-2929. Media Contact: Paige Collins, 615-934-4162. Photo: 1) Tom Hewitt previously appeared in All My Childre (1970) Courtesy www.playbill.com. 2) Michael Ireland.